Livie and Luca spring 2014 collection is almost here! Prerecords start on January 18 at 12:00 am EST. If you are a fan of Livie and Luva Petal Pat shoes, then you are in luck! This spring Livie and Luca came out with 5 different colors of Petal Pat shoes including three brand new colors. My Little Jules will offer a wide variety of Livie and Luca spring 2014 shoes. We will carry almost every styleof Livie and Luca shoes, so you are sure to find a pair... or two... or five of your new favorite Livie and Lucas! JOIN US ON FACEBOOK FOR LIVIE AND LUCA SPRING 2014 PREORDERS PARTY. We will post a secret coupon code on the event page only. 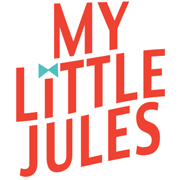 Use the code at checkout and enter for a chance to win a $100 gift card to My Little Jules boutique!